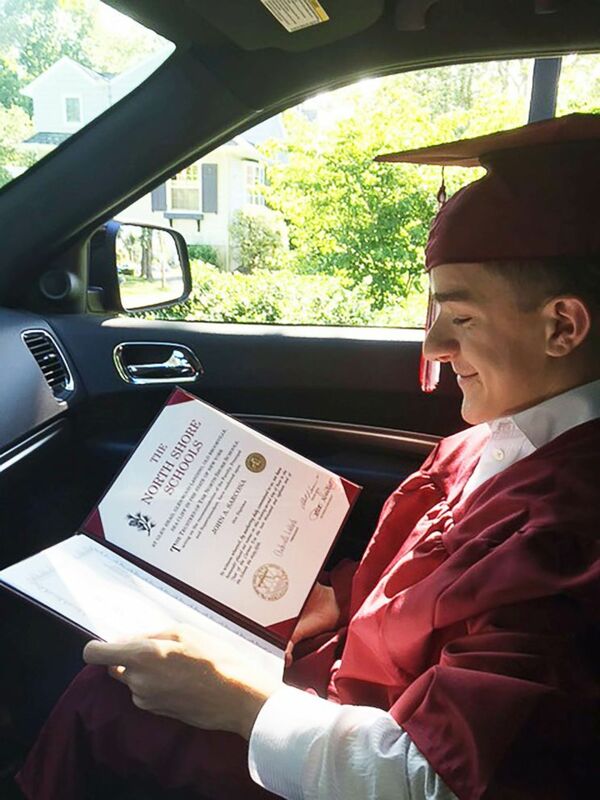 Two years later, following an amazing recovery, he is learning to drive and is enjoying his first year of college. 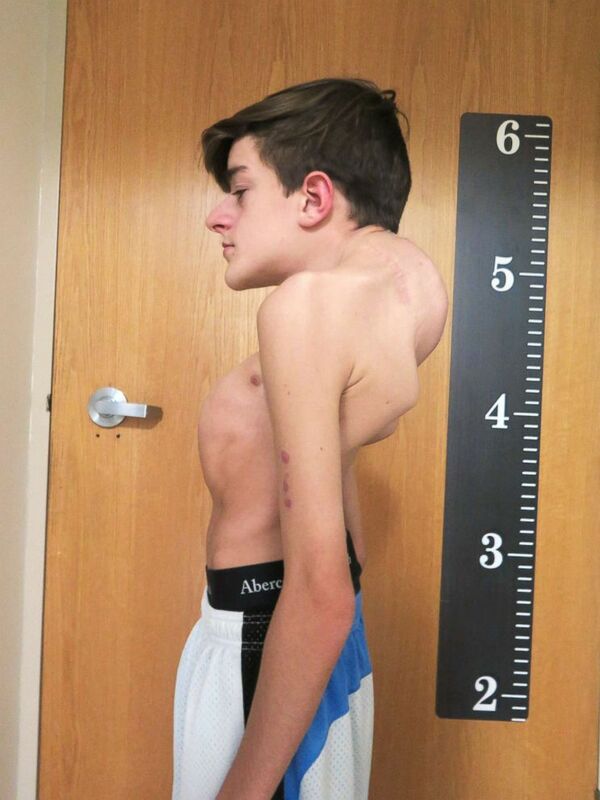 Since he was 6 years old, Sarcona has had 18 surgeries for a severe form of scoliosis known as kyphoscoliosis. The condition is a combination of kyphosis, an abnormal curvature of the spine, and scoliosis, a sideways curvature of the spine. In addition to the undergoing surgeries every six months, Sarcona was provided with a plastic brace to help stabilize his body throughout the day. However, the brace also made it difficult for him to do ordinary tasks, such as bending down to tie his shoes and running. 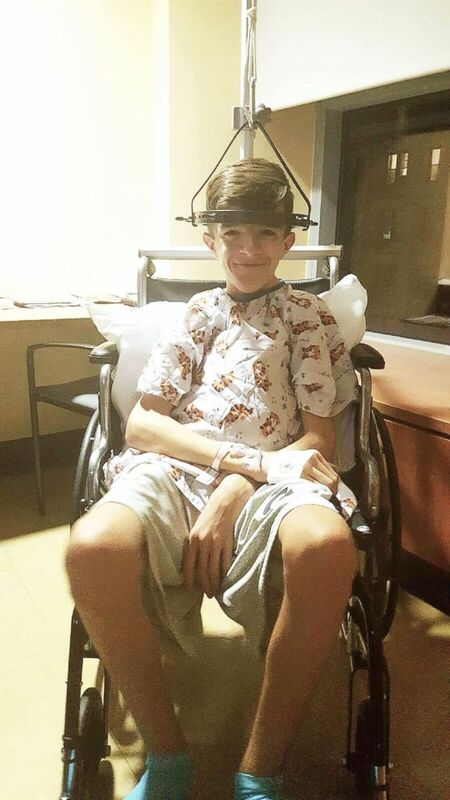 But John Sarcona had a strong support system in his family and friends, who would sign his brace and put stickers on it to help encourage him to get through the process. He was instructed to wear his brace for 18 hours a day, but as his body started to grow, his spine started to bend an extra 15 degrees. John Sarcona, 19, in 2016 before his spinal reconstructive surgery at NewYork-Presbyterian Hospital. When John Sarcona was young, he had rods inserted into his spine to help with his kyphoscoliosis. In the summer of 2016, while at a baseball game, he received a call from his mother, who had discovered that one of his shirts had blood stains on it. Later, when she examined his back, she noticed six areas where the rods were protruding. During this time, John Sarcona’s weight went down to 78 pounds and his breathing levels declined. Doctors at the hospital told John Sarcona that his spine, which was shaped like a “C,” was “bending by the hour” and that he needed surgery immediately. “Basically, he was being crushed to death,” his mom said. 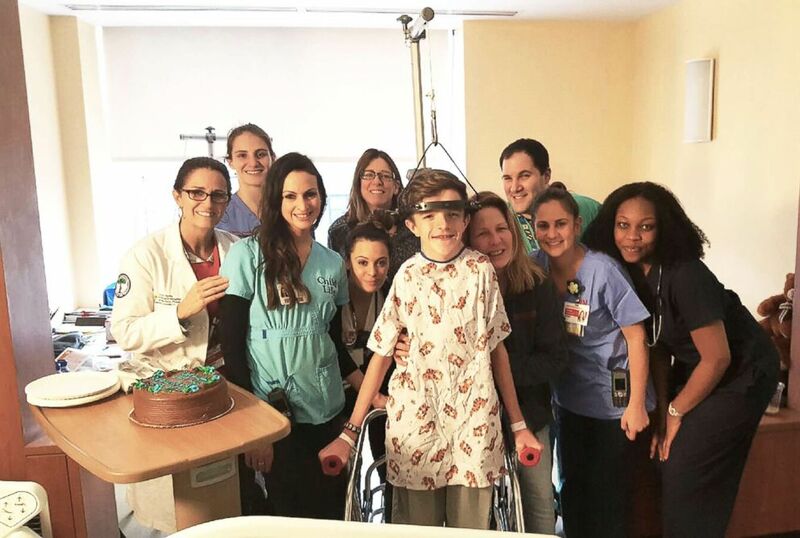 John Sarcona with friends at NewYork-Presbyterian Hospital after being put in Halo Traction. He said that during the five weeks in which he stayed at the hospital, he noticed an immediate difference in how he felt. This year marks a new chapter in John Sarcona’s life. He stands seven inches taller, plays golf and basketball with his friends, is learning how to drive and he started his first semester at Nassau Community College. He credits much of his miraculous journey to Lenke, NewYork-Presbyterian and his parents.